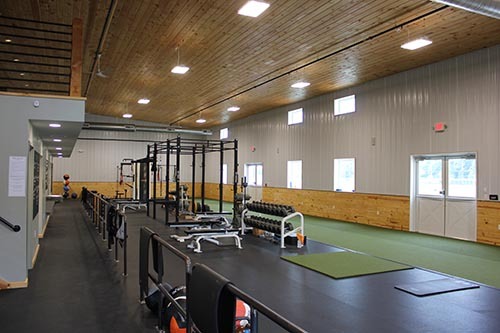 Is a private, 6,600 square foot performance inspired training complex that offers a clean (actually spotless...yes we are obsessed with cleanliness), inviting, functional, and dynamic floor plan. 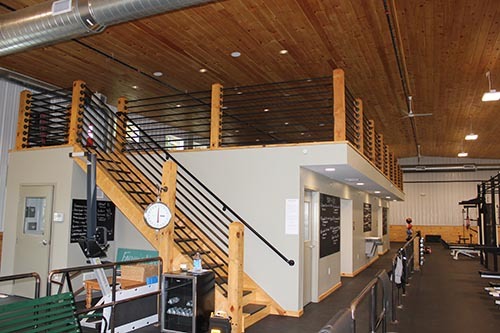 Featured within our complex is a robust yet tranquil 1200 square foot loft, designated specifically for our members to complete their specific movement prep and recovery flows. 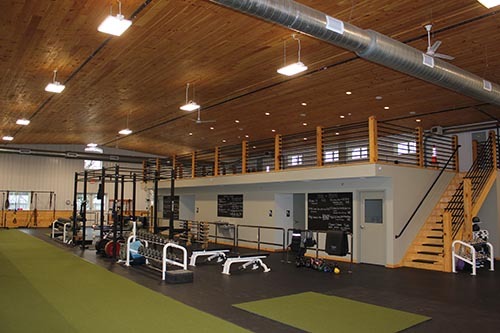 In addition, the ALLTRAIN™ Gibsonia complex offers a 1500 square foot outdoor turf training area that allows for our diverse programming and fresh air! Offer rows upon rows of cardio equipment for hundreds upon hundreds of misled folks to do their best impression of the hamster wheel (where their aerobic capacity improves minimally and their hopes of weight loss are at best a hope, all while the excessive repetitive motion has their overall performance trending towards dysfunction and their joints breaking down at a rapid pace). Also, you will not find a group of overly competitive folks trying to relive their glory years by posting personal bests ranging from their heaviest lift of the day, to their fastest run, or even to their fastest time to tie their shoes or shower (all while sporting their related workout injuries with bandages, wraps, and tape as a badge of honor). ALLTRAIN Gibsonia members are educated on the importance of proper programming and training in an effort to maximize their performance for the Sport of Everyday Life. They're not looking for injuries sustained in trying to be the gym's fittest, or trying to relive their days of yesteryear. Our members take their fight with them, they don't leave it behind in the gym. In other words, they understand brawn will only work for so long before brawn itself begins to break down. Is provided to all of our members, where they follow a detailed, varying schedule of training that may include strength, power, energy system development, functional movement, active recovery and scheduled rest days. Essentially all of our members are following a comprehensive program that eliminates the guess work and the mass amounts of conflicting information that exists in today's industry. A program that leads to strong, functional, conditioned, powerful, and confident members.... and quite possibly, a touch of modest "swagger". The BLOCK Training Program is quite dynamic, where our members may find themselves performing movements that include but are not limited to: crawling (yes crawling! ), rolling, kneeling, jumping, shuffling, throwing, rowing, pressing, pulling, resisting, reaching, stabilizing, rotating, flexing and extending. 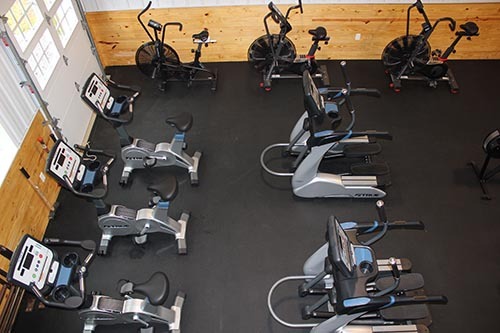 In addition, equipment and tools such as kettle bells, dumbbells, battle ropes, sand bags, sledgehammers, chains, bands, plates, Air-dyne bikes, Concept 2 rowers, and more are all within the realm of our thoroughly planned programming.